The Sagrada Familia Apartments are located in Barcelona's vibrant district of l'Eixample, next to Gaudi's famous Sagrada Familia basilica, granting easy access to all the attractions Barcelona has to offer. The area is perfectly connected to the old city and the world heritage site location boasts a large number of bars, many with terraces along Avenida Gaudí, to tempt your fancy. 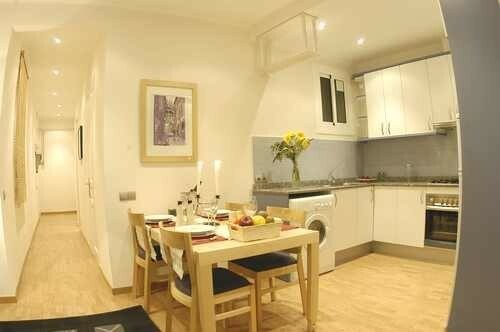 Whether you wish to spend your time taking in Barcelona's most famous sights and its modernist architecture, or you prefer to stroll along Las Ramblas, shop at the numerous Paseo de Gracia boutiques, and wander through the narrow streets of the Gothic Quarter, Sagrada Familia Apartments offer a convenient home from home. The 19th-century modernist building which houses the apartments has been recently renovated and completely refurbished to include a lift and provide you with all the comforts to make your stay a pleasant one. 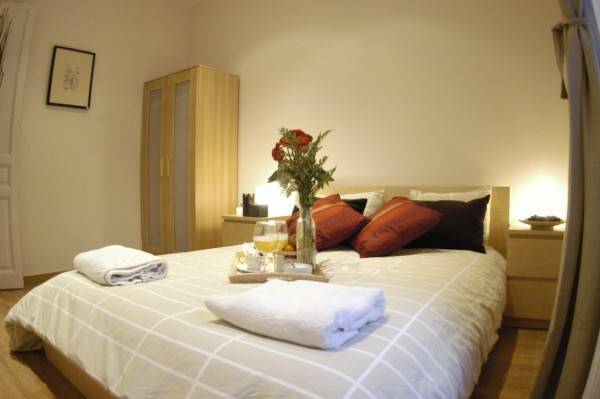 The apartments can accommodate up to 8 people offering 3 bedrooms with a double bed in each, a living room with a comfortable double sofa bed, a fully equipped kitchen and a complete bathroom . With three bedrooms, a fully-equipped kitchen and a separate living room you can make yourself at home in Sagrada Familia Apartments. All apartments have air-conditioning, central heating, a washer and dryer, a colour TV, a dining table and a balcony that looks onto the street. Sagrada Familia Apartments, offer 3 double-bedrooms, 2 of which have a balcony facing the street, a living room with a wide sofa bed that can comfortably sleep 2 people, a complete bathroom and a fully equipped kitchen. 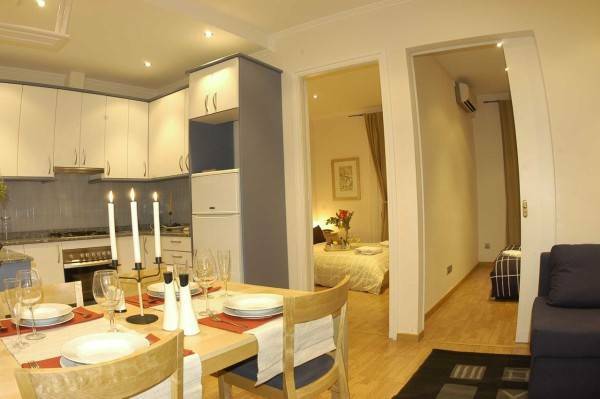 The apartments are modern in their decor with light wood furnishings and flooring. Amenities include central heating and air-conditioning, a television, coffee/tea making facilities, a washing machine, and a refrigerator. All apartments are also non-smoking. 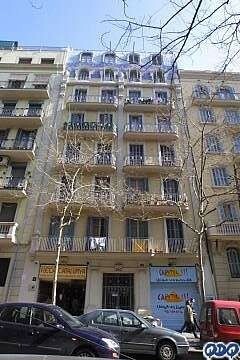 The Sagrada Familia Apartments are located in l'Eixample, just minutes from Gaudi's famous Sagrada Familia, Barcelona's number one tourist attraction. Within easy reach of the city centre the apartments provide an ideal base for exploring all the sights that Barcelona has to offer. 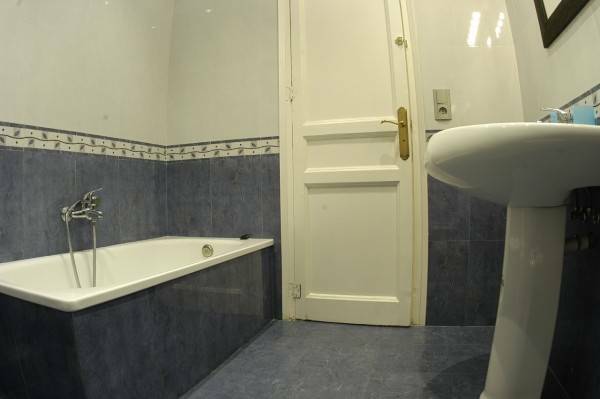 There is also a wide selection of bars and restaurants just a short distance from the apartment. NOTE: At check-in, there will be a 300Euro security deposit charge by credit card pre-authorization, which will be automatically canceled after verifying the apartment's condition. Cancellation policy: If canceled between 2 and 14 days prior to arrival 1 night will be charged. If canceled later or in the case of a no show, the total price of the reservation will be charged. Guests must contact apartment administration prior to arriving at the apartments with a confirmed time of arrival. 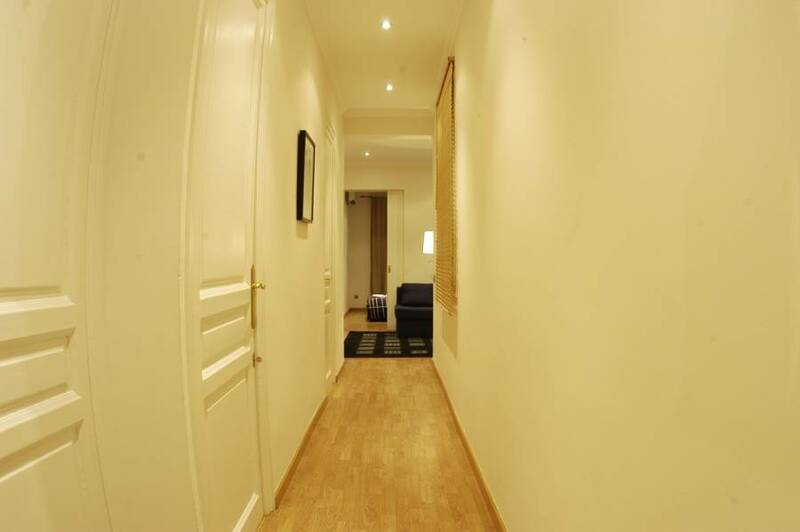 Upon arrival guests should proceed to the Barcelona Boutique B&B, at Pau Claris street 145 ent 1, to collect the keys to their apartment, directions, and a map of Barcelona. It is open 24 hours and is within walking distance of Passeig de Gracia metro. From Barcelona El Prat International Airport, take L1 train from the RENFE train station to Passeig de Gracia (trains leave every 30 minutes, and the ride takes about 25 minutes). The Boutique Barcelona is within walking distance from here. Alternatively take the Aerobus bus, located outside the Arrivals terminal. The Aerobus leaves every 10-15 minutes and stops at Plaça de Catalunya (the ride takes about 30 minutes). Once there, take a taxi to Boutique Hotel Barcelona. (Taxis are readily available at any time at Plaza Catalunya, and Boutique l lies only about 1. 5 km away). A taxi ride from Boutique Barcelona (your key pick-up point) to the apartments takes only a few minutes. The area is well served by public transport with Verdaguer and Sagrada Familia metro stations just a short distance away and numerous bus routes and taxi stops also nearby.